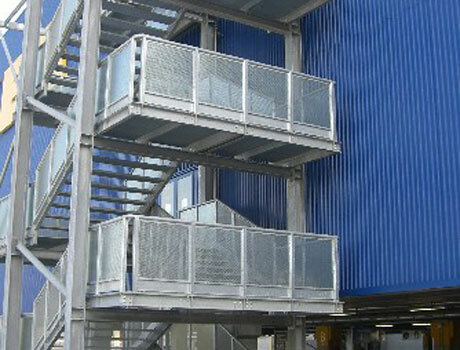 Our expanded metal sheet emergency staircases with steps and landings, tailor-made or standard, have been tested and approved by the main European authorities and comply with the strict regulation on capacity (D.M. January 16th 1996). The wide range, also in stainless steel, offers ideal solutions to optimize costs depending on the intended purpose.